iPhone users rejoice! 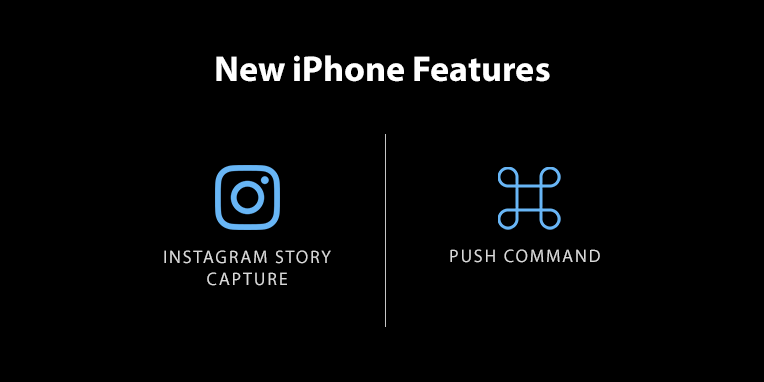 FlexiSPY just released two new updates – push command updates for iPhone and improved Instagram monitoring – making it even easier to take advantage of all the world’s most powerful monitoring software has to offer. Push commands are the fastest way to sync the changes you make inside your user portal to the target phone. Whereas before you needed to wait for the server to connect to see updates – or had to pay for SMS credits to send immediate commands – push commands instantly deliver the changes you make at no cost. Push commands are faster than the other methods for applying changes to the target device and there’s no need to pay for SMS Credits to have quick results. This is especially useful for anyone who needs to see immediate action – and it never hurts to save some money while you’re at it. Yes, they are free. Employers can use push notifications to stay on top of suspicious behavior in the office. If you notice an employee making multiple calls to unknown numbers with a company phone, you can go into your portal and enable call interception the next time you see he or she is talking to an unnamed caller. A push notification will be sent to the target device and you will instantly be able to listen in on the call to determine if it’s work related or something potentially threatening to the well-being of the company. Individual users will find push notifications beyond useful in their daily lives. Let’s say you normally schedule ambient recording for 30 minutes in the afternoon during your team’s daily meeting. However, you just found out that the CEO is presenting on a major development for the company’s future today and the meeting will likely run long. On the way to the meeting, open your FlexiSPY portal, set the ambient recording to 60 minutes and rest easy knowing push notifications will sync the change immediately. Play back the meeting audio at any time from your online portal and never miss an important detail again! Who Can Use Push Commands? Now, any iPhone user with FlexiSPY version 5.3.1 and up can take advantage of this ultra-convenient feature. Go about your normal changes – adjust your FlexiSPY settings, enable or disable features that are important to you, etc. – and push notifications will notify the target device right away. Special Note: If you make changes to the target device from your portal, but still see pending commands that have not been sent, this could mean the target device is not connected to the internet. Don’t fret! You still have the option to send an SMS command with pre-paid credits for those times when you need to see immediate changes, but can’t depend on the internet. Instagram released an update two weeks ago allowing users to share Stories they like with friends, family members or other contacts as Direct Messages. This means it’s possible to share even more content with people across one of the world’s most popular social media platforms. What?! Another update?! How will I ever keep up? It’s okay, FlexiSPY has you covered. Our team has already made it possible for iPhone users to capture IG Stories that are sent or received in DM, so you can monitor exactly what is being shared and with whom. Yes! Knowing what your employees or children are sharing gives you the ability to step in at the first sign of inappropriate behavior, data breach or other online danger. Employers and HR executives regularly deal with cases of harassment at the office and social media often plays a role in this. If a member of staff is repeatedly made to feel uncomfortable or unsafe at the office, it is the employer’s job to step in. Having the ability to monitor IG Stories – especially those sent discreetly in DM – allows you to make sure employees are not sharing any inappropriate or damaging content on company devices. FlexiSPY helps you create a safe working environment. Parents are faced with major issues as children grow up in today’s tech-hungry society. Every day new cases arise where children are being cyberbullied or engaging in risky behavior with strangers or adults. Many of these conversations happen privately – in places like Instagram’s DM – and are then deleted for fear of anyone finding out. As parents, we are responsible for the well-being of our children and having the tools to know exactly what they are exchanging online and who they are having these exchanges with allows us to do our job. Odds are your child is sharing some viral Story from their favorite celeb or fan page, but it’s those times when your child is being victimized that you need to be able to step in. Capturing IG Stories sent or received in Direct Message, makes this possible.